Outgrown your Excel and Access? Excel wasn't really designed for multi-user access. 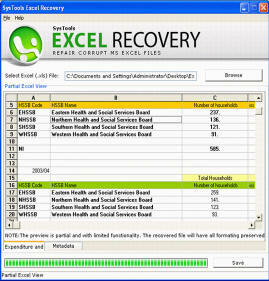 In multiuser environments Excel files can be easily trashed, even via innocent mistakes, requiring frequent restorations and loss of work. Access has limits to the number of users it can support well. Access databases will eventually become corrupted and require restoration from backup, which usually involves some loss of work. As Excel and Access apps proliferate, your corporate intelligence becomes more distributed into multiple locations that are impossible to query in a unified manner. Commonly used subsets of your corporate data ultimately get copied, some copies get updated, and eventually nobody knows which is the correct version. There are actually products and consultants whose only function is to recover data lost in Excel and Access files that have been stretched past their intended limits. If your distributed apps are turning into a corporate headache, we can help. We'll help you collect your distributed data into a single, accessible, query-able central location, and we'll design a unified app or set of apps to make life easier for your staff. Begin your conversion process today by giving us a call at 630-879-0620. 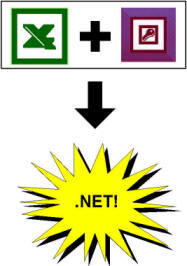 We can help estimate your conversion cost and offer you practical strategies for managing your conversion to .NET.